The head of the Shelby family, Mr. Shelby must sell Tom and Harry to pay off a debt he owes to Haley, the slave-trader. Mr. Shelby treats his slaves well but he considers them essentially different from white people—he allows them to form marriage-like relationship and takes pride in the continuity among slaves on his estate, but he is willing to alter Tom’s life in order to maintain the Shelby family’s financial security. On his death, his estate passes to his son, George, Jr. The timeline below shows where the character George Shelby, Sr. appears in Uncle Tom's Cabin. The colored dots and icons indicate which themes are associated with that appearance. Schlegel, Chris. 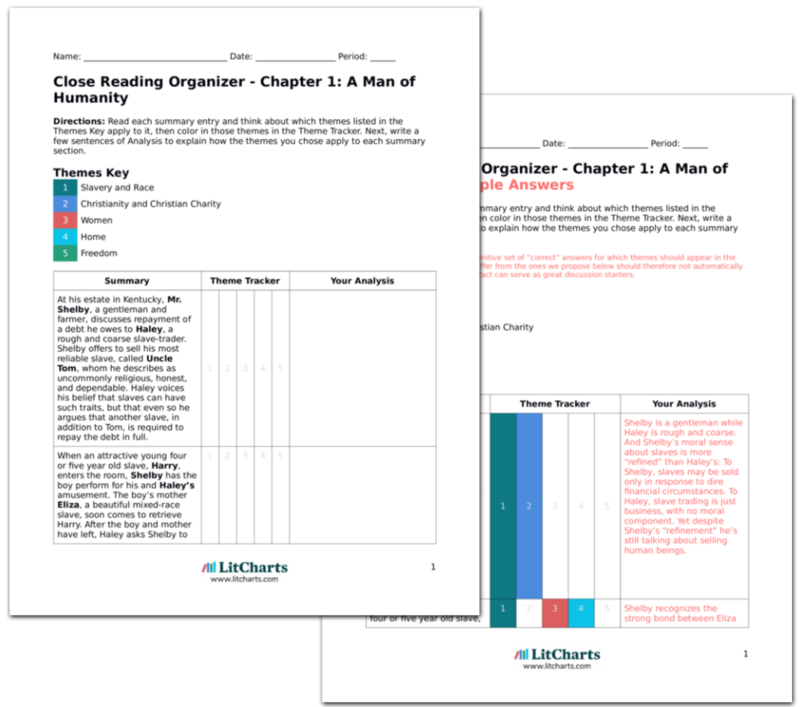 "Uncle Tom's Cabin Characters: George Shelby, Sr.." LitCharts. LitCharts LLC, 17 Sep 2013. Web. 29 Mar 2019. Schlegel, Chris. 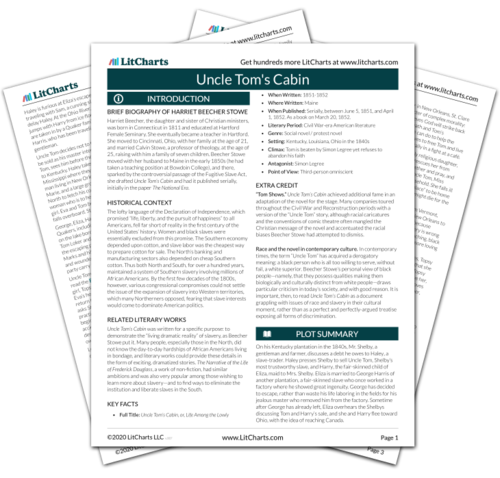 "Uncle Tom's Cabin Characters: George Shelby, Sr.." LitCharts LLC, September 17, 2013. 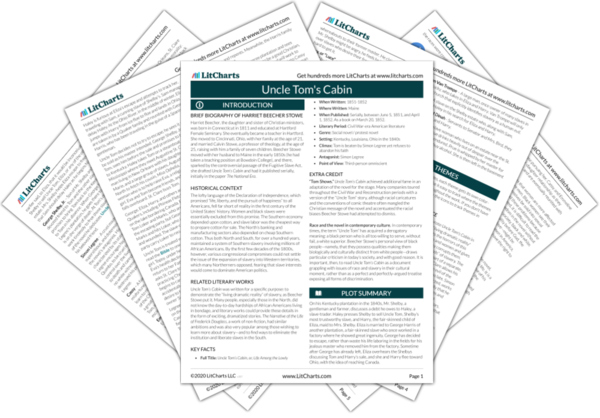 Retrieved March 29, 2019. https://www.litcharts.com/lit/uncle-tom-s-cabin/characters/george-shelby-sr.